The Premise. As the eco-movement continues to grow, cyclists become more an more numerous, opting to travel in an environmentally-friendly way instead of using their cars all the time. The only problem is that the safety-movement hasn’t really stepped up to this new influx of cyclists. As a result, drivers and cyclists in the U.S. are still not very adept at sharing the road, which can result in accidents. The Product. Revolights offers up one more way to improve the safety of cyclists and drivers alike. Instead of dinky blinky lights that most cyclists use, Revolights are long lights that act as the front and back fender to a bike. This current campaign is only for the taillight. If the bike already has fenders, there is a special mount that can be used to attach the arc light to the fender. 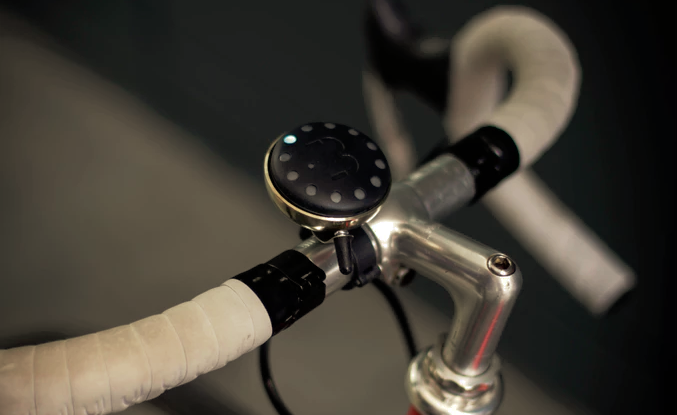 By detecting the rotating speed of the wheel, an additional brake light is activated when the cyclist’s speed slows suddenly. The Revolights arc light comes with different modes, blinking or not, with a red taillight. The arc light runs on a battery that has eight hours of life and charges in a USB port. The Pitch. This campaign marks a third go at Kickstarter for Revolights, the Bay Area creators of which show off its product in a video featuring different cyclists riding around at night. It’s especially interesting to see how the brake light comes in when necessary. In addition, the video shows newer features that will be offered soon, including turn signals. Revolights hopes to raise $100,000 in its 54-day campaign. The Perks. Backers can enjoy the Revolights Arc taillight for $69 at the early-bird price. Regularly priced, the taillight will go for $79 and the light which includes its own fender goes for $109. Reward tiers go up to $629 with an estimated delivery date of October 2014. Revolights talks about having stretch goals in the future for turn signals, but have not actually set them yet. The Potential. Bike taillights as they exist now are easily mistaken for other things. Most bike headlights and taillights are mismatched, offering a huge headlight with an inadequately sized taillight. This large arced light is much safer because of its size and position partially outlining the wheel, signaling to drivers that they are approaching a bike. The closest product to Revolights right now is the Serfas Thunderbolt USB Taillight, simply because it charges with a USB, but compared to the arc light, the Thunderbolt looks much too small. All in all, while the price of Revolights is rather high, the safety that it offers is worth ponying up for.